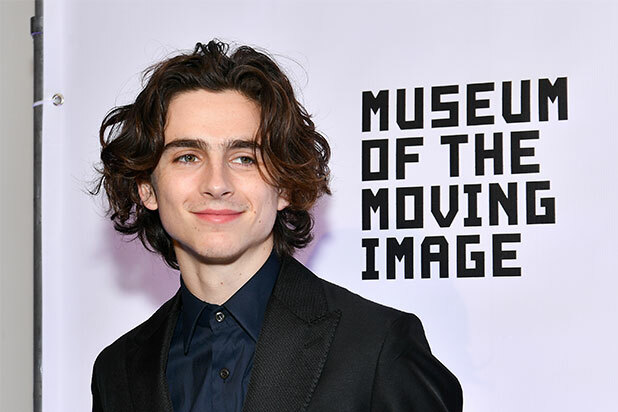 Hollywood’s new go-to leading man Timothée Chalamet is in talks to star in Denis Villeneuve’s upcoming remake of “Dune,” which Legendary is targeting for production early next year, TheWrap has learned. Frank Herbert’s 1965 sci-fi novel was adapted in 1984 by David Lynch in a notoriously high-profile box office bomb that starred Kyle MacLachlan. Legendary acquired the film rights to “Dune” and its five sequels two years ago. Like MacLachlan, Chalamet will play Paul Atreides, the son of a noble family who takes over the desert planet Arrakis — which is the only source of coveted spice melange. Villeneuve, whose credits include “Arrival” and last year’s “Blade Runner 2049,” is producing the new film along with Mary Parent and Cale Boyter. His upcoming films include this month’s A24 drama “Hot Summer Nights,” Amazon’s druggie drama “Beautiful Boy,” due this fall, and Amazon’s upcoming Woody Allen film “A Rainy Day in New York,” which is not yet slated.